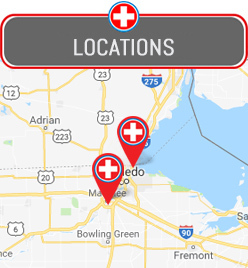 Thank You for Joining Our Visual Tour of Northwest Ohio Urgent Care. If You Have Any Questions Please Call Us at (419) 333-8031. We Are Conveniently Located at 1015 Conant St. Maumee, OH 43537. We Are Open 6 Days a Week!